Legendary R&B group HI-FIVE returns to the music scene with the release of their upcoming EP entitled, “HI-FIVE THE EP”. “The EP” will be released this August and available on iTunes and all digital retail outlets under the Bronx Most Wanted Entertainment label imprint. Members Treston Irby, Marcus Sanders, Shannon Gill, Billy Covington and Faruq Evans are eager to present to the world the new music that they have been working on. “It has been a long time coming and we are just filled with excitement to reconnect with our loyal fans and meet new ones along the way”, says group member, Treston Irby. The “HI-FIVE EP” will be lead by the smooth single, “It’s Nothing”, produced by Sheldon Goode and written by Brian Adams and group member Billy Covington. “We wanted to give our fans a familiar sound yet more mature but still the signature HI-Five delivery”, mentions Billy Covington. HI-FIVE will be featured in an upcoming episode of the popular TV ONE “Unsung” series. The group shares intimate moments of their music career journey as well as the ups and down of being an artist. The episode will air on Wednesday, August 6th, 2014. (Check local listings). HI-FIVE released their first and self-titled album in 1990. The album went platinum and was produced by legendary producer Teddy Riley; it included such singles as “I Just Can’t Handle It” (R&B #10), “I Can’t Wait Another Minute” (Pop #8, R&B #1), and their biggest hit to date, “I Like the Way (The Kissing Game)“, which went to number one on the U.S. Billboard Hot 100 and the U.S. Hot R&B/Hip-Hop Songs chart. 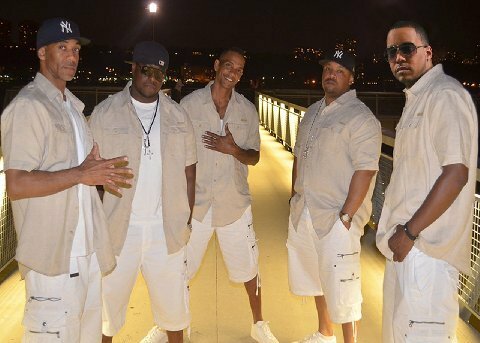 The group was aggressively marketed by Jive and was part of the “new jack swing” sound that dominated much of the early to mid-1990s urban contemporary radio format. HI-FIVE enjoyed some mainstream success and were essentially similar in design to R&B counterparts such as H-Town, Shai, Public Announcement, and perhaps most notably, Boyz II Men. The group’s single, “Too Young” was featured on John Singleton’s Boyz n the Hood, the soundtrack from the movie.